A proprietary blend of Peanut, Caster seed, Apricot kernel, Sweet Almond oils, combined with hydrolized wheat protein and essential oils of Lavender flower, Geranium flower and Eucalyptus leaf create a soothing and healing treatment to enhance nail and cuticle condition. 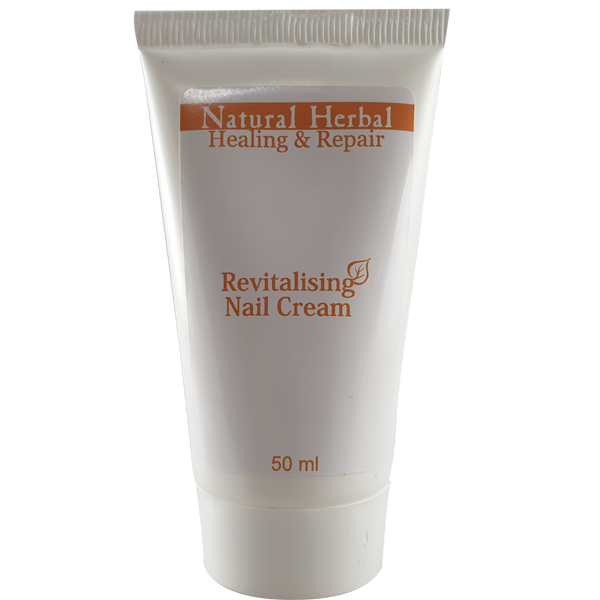 Healing & Repair Range Nail cream is composed with treatment specific natural ingredients to give a smooth and wonderfully reviving cream with dedicated treatment properties to enhance the condition of nails and cuticles. Peanut oil with its potent moisturising qualities softens the cuticles and prevents them from drying out. Vitamin E has been included, as it is known to be an antioxidant and free radical scavenger. Jojoba seed is known for its antibacterial features thereby keeping the nails germ free, and being very similar to the sebum of the skin it creates a protective layer over the nails. With the combination of Lavender and Geranium essential oil, a soothing and relaxing scent is created with antibacterial and antifungal properties. These oils help keep those hard to reach corners clean and also improves blood circulation thus providing more oxygen and nutrient rich blood to the nails which in turn improves the growth rate. The addition of Wheat germ oil which has a high concentration of the B complex vitamins and folic acid, aids in deep cellular regeneration of the skin cells. Eucalyptus essential oil is also known to have anti-viral and anti-bacterial properties, which helps keeps the nails and cuticles clean and germ free. Apricot kernel is fantastic to a sensitive skin, as it is a non-irritant, it moisturises deep into the skin and seals in the moisture. Sweet almond oil is loaded with vitamin A known to reduce the signs of ageing by protecting the skin from UV radiation damage and oxidative stress. Leaves nails and cuticles healthy and well cared for, giving them a refreshed clean and smooth appearance.